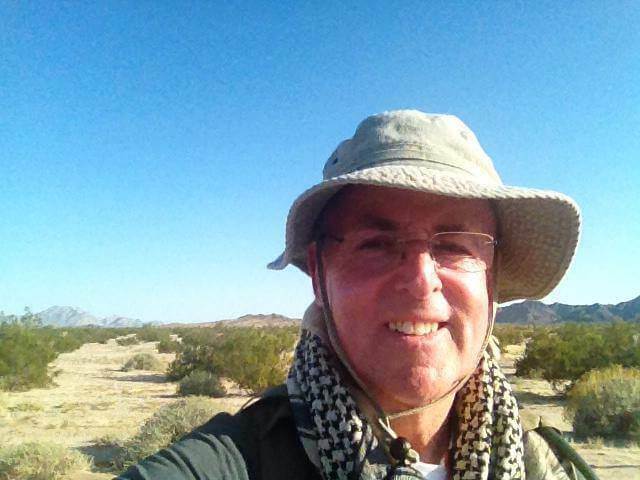 He’s 10 days into his Walk Across America, and Frank Ryan is doing fine. It’s not a cakewalk by any means. The desert heat in California and Arizona — with temperatures in the mid-90s in some spots — has slowed him down a bit. So has his gear. He’s hauling 50 pounds of it on his back and pushing another 80 pounds in a cart. He has already had to change a flat tire on the cart in the searing desert sun, and in one 50-mile stretch the elevation dropped from 4,400 feet above sea level to 113 feet below. Keeping that much gear from careening down the slope has taken a toll, particularly on his feet. “I haven’t had a blister in 25 years,” Ryan said, but he has some “pretty significant” ones now. Still, you can hear the joy in his voice as he talks about his progress and his mission — to help the children of Good Shepherd Services. People like the Yuma County, Ariz., sheriff’s deputy who stopped him near the town of Wellton just to see if he was OK. “The folks out here are just interested in making sure that people are safe,” Ryan wrote on his “Walk Across America” Facebook page. People like Paul and Rosie Nunez, who picked Ryan up at the end of three consecutive days near Brawley, Calif., and drove him to a hotel each night. Or Mike Burrell, who lightened Ryan’s load by hauling some of his gear 35 miles down the road. Or Joe and Allison Simmers, who put Ryan up for the night as he traveled through Yuma, Ariz.
Ryan is hoping to pick up the pace a bit on the other side of the desert. In the meantime, you can follow Ryan’s progress across the country by liking his “Walk Across America” page on Facebook. We’ll publish further updates from Ryan right here on the pages of CPA Success.